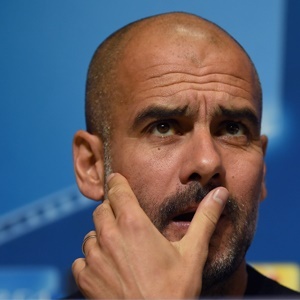 Cape Town - Manchester City manager Pep Guardiola insists his team need to win trophies before they can be compared to the likes of Barcelona and Bayern Munich. City have been in imperious form this campaign and are still unbeaten across all competitions. They are without defeat in their last 23 games, stretching back to last season. The Sky Blues' most recent success was a 3-1 win over Arsenal on Sunday, which extended their lead at the top of the Premier League to eight points after only 11 games. However, Guardiola remains reluctant to compare City to his previous clubs as they are yet to win a trophy. "We cannot deny the last two months, it was amazing, we won all the games in the Premier League, Champions League, Carabao Cup - it's so, so difficult," he told Sky Sports. "I'm so happy. [But] in the recent past Barcelona and Bayern won titles and we didn't win once. "Until we lift something we cannot talk about that. The way we played [was excellent], we cannot deny that in the two months we played well."